Mold can present big problems for you and your family if you don’t take the proper steps to prevent it from growing in your home. Outside of the damage that it can do to many surfaces, mold can also cause health issues and make it difficult to live inside of a residence. Therefore, you should do whatever you can to prevent mold from growing in your home. Check out a few helpful tips below. Dry wet materials in your home as soon as you can. It doesn’t take very long for mold to grow. If you leave a wet towel on your bathroom floor for more than a day, you might start to experience mold growth. So you should make every effort to dry wet materials so that they don’t have the time it takes to accumulate mold. You should also wipe down wet surfaces in your home and fix any leaky pipes that can cause excess moisture. 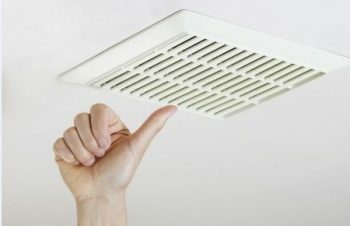 Install exhaust fans in bathrooms. Doing something as simple as taking a hot shower every day can lead to mold growth on the walls, floor, and ceiling in your bathroom. Fortunately, an exhaust fan will serve as a simple fix for this. The fan will redirect moisture out of the bathroom and drastically reduce your chances of mold. Allow air to flow and circulate throughout your home. How often do you open up the windows in your home and allow fresh air to flow through it? You should do this as often as possible, since air circulation will prevent mold from growing. You should also move furniture away from the walls in your home and open closet doors periodically to get rid of stale air that might be lingering around. That air is often responsible for mold growth. As you can clearly see, there are plenty of ways to prevent mold. But even if you follow all of these tips, there is still a chance mold could affect your home. Rapid Response Restoration can help you test for mold and then get rid of it through mold remediation if it is found. Call us at 602-466-2619 today to learn about the excellent mold services we have to offer.